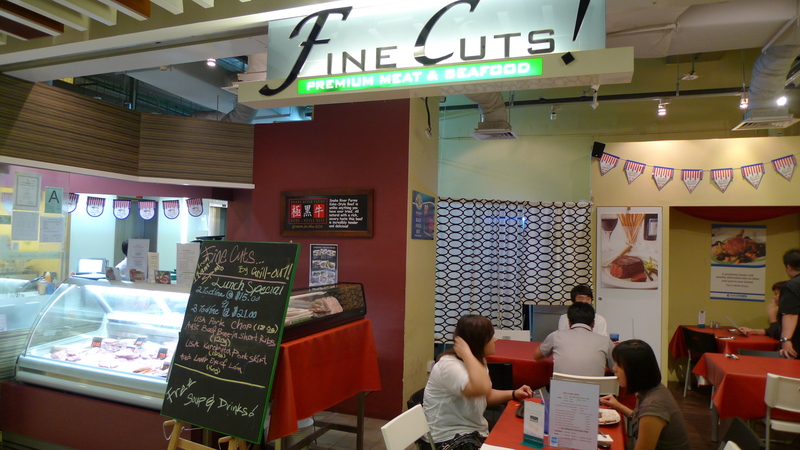 Fine Cuts is actually a supplier of meat to Grill-out @ Orchard Central/Sunset Way as well as other reputable hotel restaurants. Hence, it is able to attain beef at it’s freshest while still selling it below prevailing market prices. 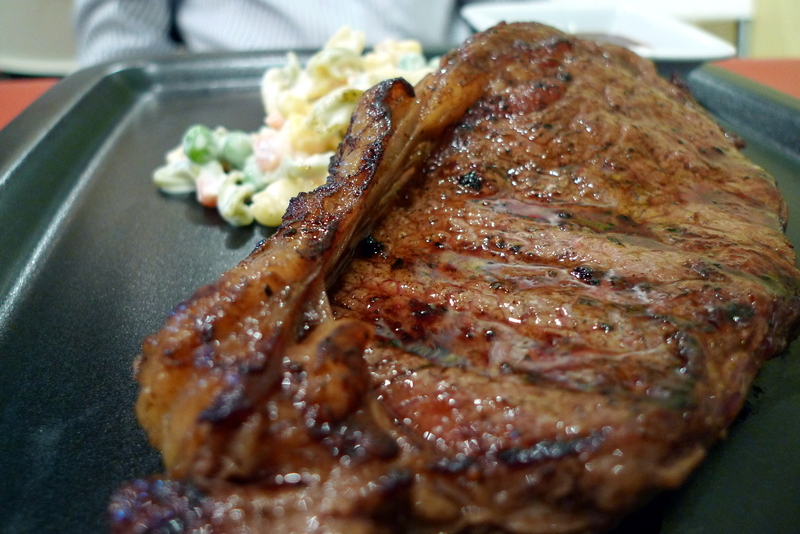 It focuses more toward higher end meats(kobe, wagyu, black angus, kurobuta pork although more entry level US beef is also available), hence the name. It functions both as a butchery as well as a eatery though the ambience is less than desirable with the much too open seating concept that allows almost every passerby along the corridor to have a good look at what you are eating, wearing and maybe even take a whiff of what perfume you are using(only slight exaggeration here). On my last few visits here, I had the oppurtunity to try out both their lunch sets as well as their ala-carte. The lunch sets are pretty afforable and filling enough, $15++ for 2 pax and $21++ for 3 pax whereby you get a soup, drink and a main(choice of beef short rib, pork skirt, pork chops and lamp eye of loin). For this meal however, S & I opted for the ala-carte for want of more meat and protein(yay I finally started my highly dilatory fitness regime by hitting the gym ytd!). There has been a change in the style of ordering. 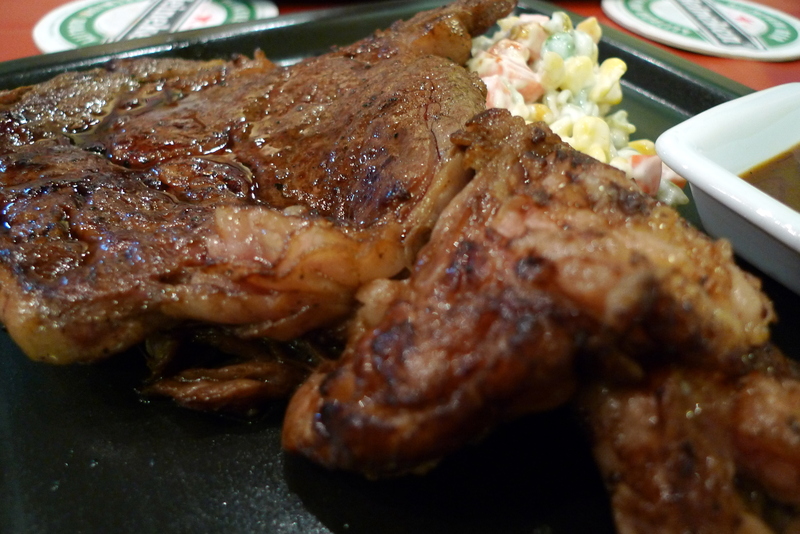 Previously, there was no menu and customers used to choose the meat and it’s desired weight at the counter and add $8 for cooking and sides. At present, Fine Cuts has simplified the ordering process by including the types of meat and weight with it’s corresponding pricing in the menu. S had the medium rare Grass-Fed Striploin Steak($14.80+) which was good. Grass-fed cows are harder to come by these days compared to corn fed ones(fyi grass-fed cows require more space per cow, and reach slaughtering maturity slower than corn-fed ones, but corn is not a natural staple for cows and hence they tend to fall sick more easily)and I thought that for this price, it was much more worthwhile than getting a ribeye from Astons. 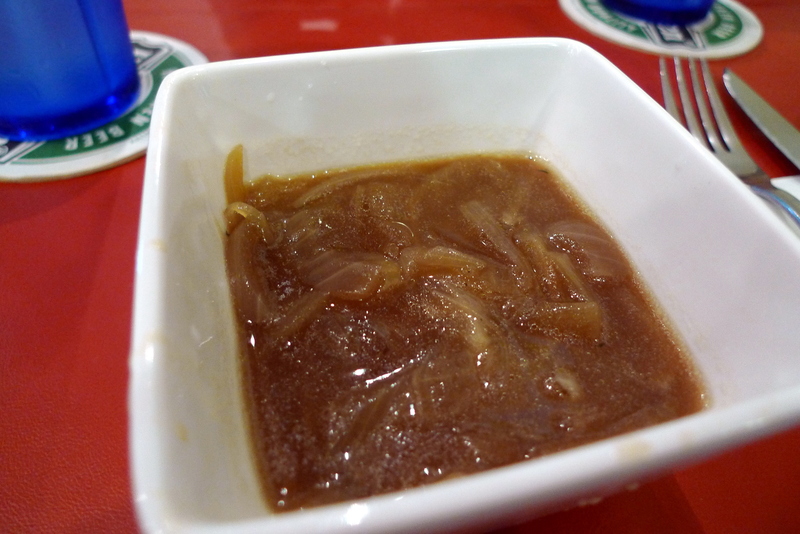 Despite being ala-carte, they did provide us with lemonade and onion soup(tasted like it had been boiled with beef bones and marmite). I have heard news that Fine Cuts might be closing down in 6 months time so do pay them a visit soon! It is still the cheapest place for a decent steak in my book! Categories : All YumYums in my TumTum, Clarke Quay, Cuisine Type YumYums, Location of YumYum, Western, Yummy! HOW DO YOU KNOW SO MUCH ABOUT BEEF AND GRASS FED COWS AND CORN AND EVERYTHING? I feel damn noob beside you can. Anw is there a typo in your entry? $15++ for 2 pax and $21++ for 3 pax and not ‘for 2/3 course?’ What if I was a loner who eats alone lor….so unfair. i read it somewhere b4 i think. anw no typo, the lunch set is really $15+ for 2 pax and $21+ for 3 pax. $7.50 a person! THIS PLACE IS SO WEIRD. HOW CAN THEY CHARGE PEOPLE BASED ON THE NUMBER OF PEOPLE THEY ARE DINING WITH???? ?